Over the past few years, I’ve had the chance to visit schools with access to a wide range of digital tools. Some have a tablet for each student to use throughout the school day. Others may have a handful of laptops or Chromebook computers, or an interactive display mounted on the wall. Last month I shared ideas for rethinking interactive whiteboards in small group instruction. 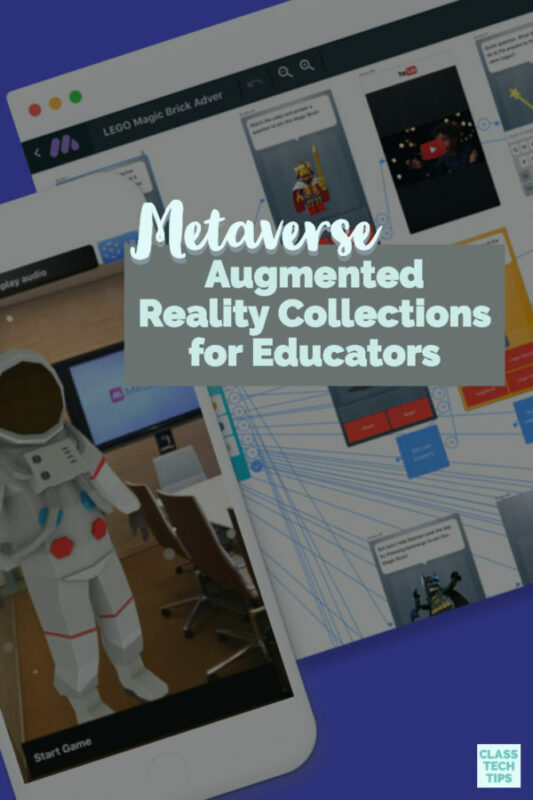 In this post we’ll take a more in-depth dive and make connections to blended learning stations. In many classrooms where blended learning is taking place, students are using a variety of tools throughout the school day. They might rotate between stations as they dive into different activities. Blended Learning is the practice of combining both online and face-to-face teaching and learning to create a hybrid experience for students. This model is popular in one-to-one learning environments. 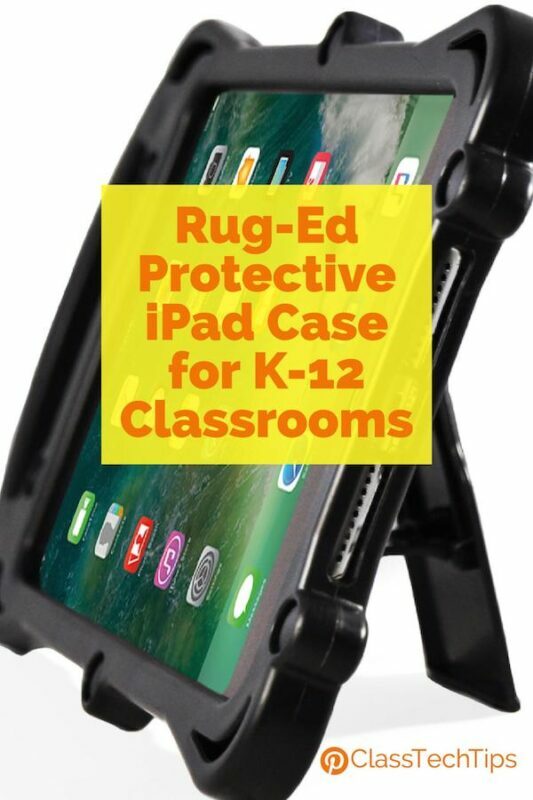 It is also popular in classrooms that might have access to just a few devices or one interactive display. In a post on my site last year, I featured the book Blended Learning in Action: A Practical Guide Toward Sustainable Change by Catlin R. Tucker, Tiffany Wycoff, and Jason T. Green. This book provides a lot of guidance for educators just getting started with blending learning. It is also useful for teachers ready to take their implementation to the next level. 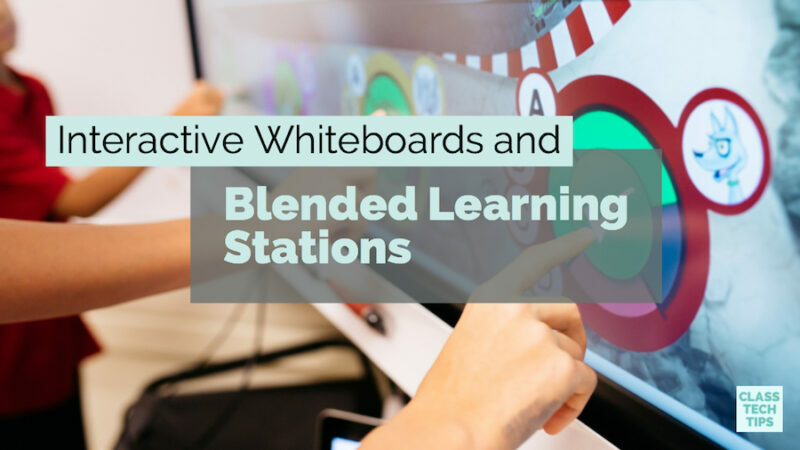 So how can educators leverage the power of interactive whiteboards as they introduce blended learning stations to their students? During station rotations in a classroom, students move from one activity to the next on a schedule during a set part of the day. For example, second-grade students might move from one station where they are labeling the parts of a plant on construction paper, to a station where they move through a self-paced lesson on habitats, to a teacher-led station where they explore a new science concept together. An interactive whiteboard is perfect for blended learning stations. Whether you leverage the display screen during a teacher-led station or have a collaborative task for students when they rotate to this part of the room, the possibilities are endless. What can happen in a station with an interactive whiteboard? As students in a small group come together in front of a screen they may have 10-15 minutes to work together before another set of rotations takes place. Let’s expand on the science example described above. Students who interact with a whiteboard in a teacher-led station might watch their teacher. The teacher can model a concept related to ecosystems and biodiversity such as identifying living and nonliving things in an image. Students can then locate plants and animals in the pictures you bring up on the screen to color code and label what they see. 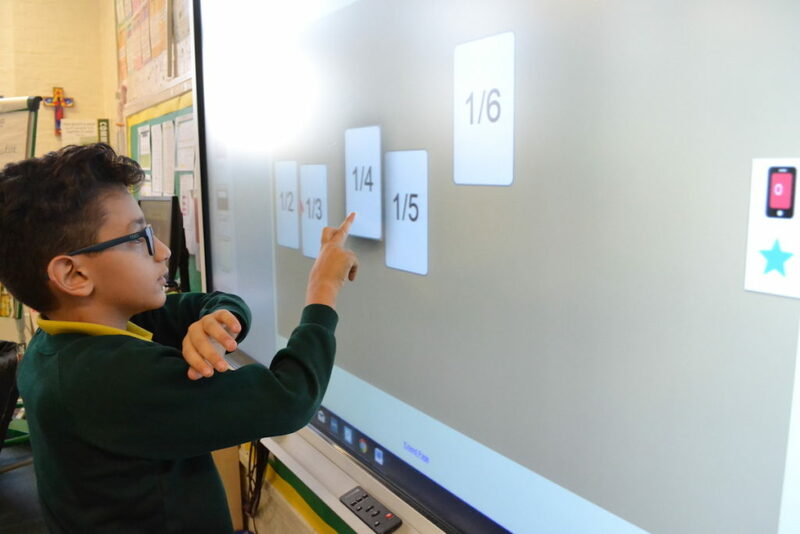 If students are working in a small group when using an interactive whiteboard – without their teacher by their side – clear directions or a task card can help students work independently and stay focused. A task card should have clear directions for students to follow. It might even include an image or screenshots to help students navigate without teacher support. The four or five students in a group might work to solve a puzzle together. They could label a picture where they each use a different color to track their work. Alternatively, they could participate in a tiered task that is differentiated for each group in your class.